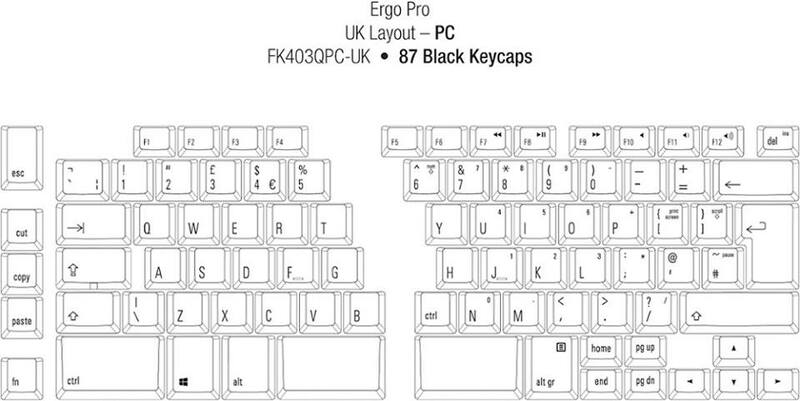 We have been in consultation with Matias about the upcoming European Layout Ergo Pro Models. The first batch of USA layout has been made and sold from Matias Canada base and the feedback was strong that it is a superb ergonomic keyboard, but that caps lock would be better moved up to an F Key. To accommodate this the key currently used for caps lock will become right control. We all agreed that this was the correct thing to do in the interests of making the keyboard to the highest standard now and for the future. Sadly, this has meant that we missed a production ‘slot’ and it will add 30 days to the ETA. We now expect our stock in UK around June 30th. Apologies to anyone who has pre-ordered. If you’d prefer a refund get in touch, we will arrange it. If you are plain angry at having to wait another 30 days after one delay already, please feel free to contact Bruce here at The Keyboard Company or Steve at Matias.